Meprobamate is a medication used to treat anxiety disorders. It is described as an antianxiety agent. 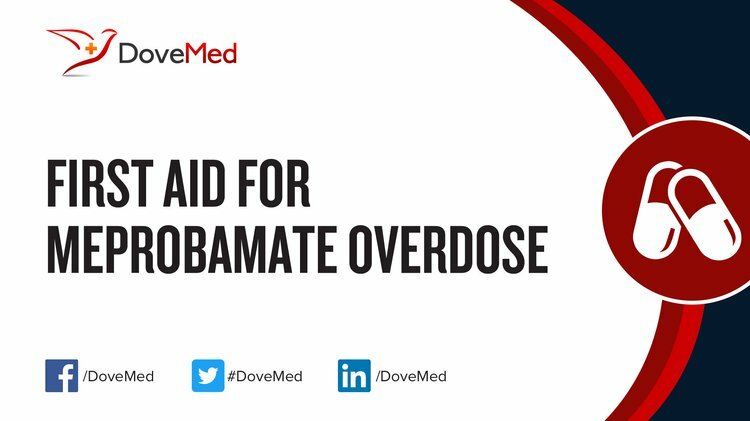 Meprobamate Overdose is the accidental or intentional intake of the drug in dosage higher than recommended. What are the Causes of Meprobamate Overdose? What are the Signs and Symptoms of Meprobamate Overdose? The signs and symptoms of Meprobamate Overdose can vary from one individual to another. It may be mild in some and severe in others. Several systems of the body, such as the muscular system, digestive system, nervous system, vascular system, and ENT may be affected. How is First Aid administered for Meprobamate Overdose? Who should administer First Aid for Meprobamate Overdose? First aid for Meprobamate Overdose is administered by healthcare professionals. What is the Prognosis of Meprobamate Overdose? How can Meprobamate Overdose be Prevented? Karaman, R. (2015). Novel Modified Bentonite-Montmorillonite and Activated Charcoal Complexes for Detoxification. International Journal of Clinical Toxicology, 2(2), 37-41. Lee, D. C., & Ferguson, K. L. (2011). Sedative-hypnotics. Goldfrank's Toxicologic Emergencies. 9thed. NewYork: McGraw-Hill, 1060-71. Dunea, G. (2012). Charcoal Hemoperfusion: Promise Unfulfilled. In Dialysis: History, Development and Promise (pp. 437-440). World Scientific. Mégarbane, B. (2013). Drug-induced encephalopathy. Brain Disorders in Critical Illness: Mechanisms, Diagnosis, and Treatment, 329. Bévalot, F., Gustin, M. P., Cartiser, N., Gaillard, Y., Le Meur, C., Fanton, L., ... & Malicier, D. (2013). Using bone marrow matrix to analyze meprobamate for forensic toxicological purposes. International journal of legal medicine, 127(5), 915-921. Yanase, R. T., & Le, H. H. (2014). Caries Management by Risk Assessment Care Paths for Prosthodontic Patients: Oral Microbial Control and Management. Dental clinics of North America, 58(1), 227-245. Sztrymf, B., Messika, J., Bertrand, F., Hurel, D., Leon, R., Dreyfuss, D., & Ricard, J. D. (2011). Beneficial effects of humidified high flow nasal oxygen in critical care patients: a prospective pilot study. Intensive care medicine, 37(11), 1780.